Nina Sublatti (ნინა სუბლატი) (real name Nina Sulaberidze) was born in Moscow, Russia on 31 January 1995. Shortly after her birth, her family moved back to Georgia. In 2005 she has graduated from Art School, in which she studied painting, graphics, sculpture. For her artworks Nina won several international competitions. In 2008 graduated from Music School, piano department. In 2009 she received an offer from a modelling agency and worked as a model, with famous designers and photographers. Sublatti loves tattoos and has already 8 tattoos on her body. In 2010-2011 Nina has worked with various bands and gave concerts in different parts of Georgia. In 2011 she started cooperation with Georgian Dream Studio; she worked with Bera Ivanishvili, Georgian rapper. Sublatti practised hard with voice teachers and choreographers, specially invited from New York, Los Angeles and London, improving her skills in music history, theory, vocal technique, choreography, psychology etc. In 2013 Nina participated in "Saqartvelos Varskvlavi" (Georgian Idol), and within the framework of the project, she worked with "Bravo Band" and Georgia State Symphony Orchestra. Nina became the winner of the project and received an invitation from London Institute of Music for vocal training on the highest level. Watch her performances in the show here. In 2013 Nina entered the Academy of Arts named after Apolon Kutateladze, department of interior design. In 2014 she took part in Georgian musical "Lurji prinveli" (Blue Bird) (Directed by Davit Doijashvili). In 2014 Nina worked with Bravo Records to record her debut album "Dare To Be Nina Sublatti" with 5 original songs and 5 covers of world hits. The album was highlighted in the music charts, became the best selling album in Georgia; Sublatti followed it's release with a tour in Georgia. Since 2014 Nina studies in Vano Sarajishvili Tbilisi State Conservatoire, faculty of music technologies and works in the music school "Teen club" where she teaches young performers. 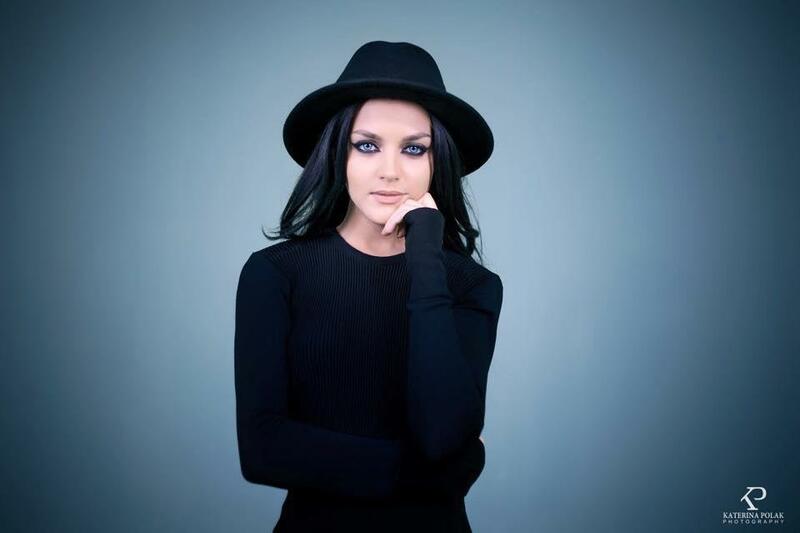 Currently she works in her own music studio on her second album, to be released in 2015. 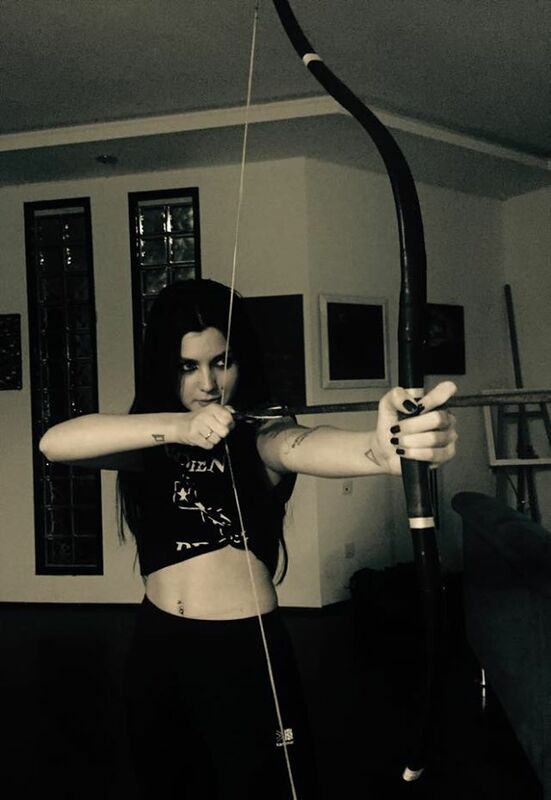 At the Eurovision Song Contest Nina will perform self-written song "Warrior". "The song is devoted to all Georgian women. Women have always been important figures in the history of Georgia. They simply sought to be good women, good mothers, good teachers. The Georgian woman has to be able to control her temper and raise her child as a warrior. In Georgian I chose the title word meaning "Mother Man", which does not exist in other languages, so in English song got title "Warrior"
Swedish composer Thomas G:son will work on Georgian entry song arrangement for the international final. G:son already had 9 entries in Eurovision Song Contest, including Georgia in 2013. This year he already is behind Spanish entry, and his previous credits also include Swedish entries 2001, 2006 and ESC winner in 2012, Norwegian entry in 2007, Danish 2010 and Spanish 2007 and 2012. G:son was also part of jury that has selected Sublatti's "Warrior" for the contest. "Eurovision format is different from my genre, which is ambient, psychedelic and alternative, so it took me a little while to rearrange my song as pop music", earlier admitted Sublatti. Swedish choreographer Sacha Jean Baptiste will direct performance of Georgia, previously she staged performance of Alexey Vorobyov in ESC 2011. "For sure, I feel great! I've done a lot in my career but performing in Europe is most important thing for me. I'm still looking for better concerts, bigger tours, so I think Eurovision is a great chance for every Georgian artists to take"
Nina says that it were her fans who persuaded me to take part in national preselection. 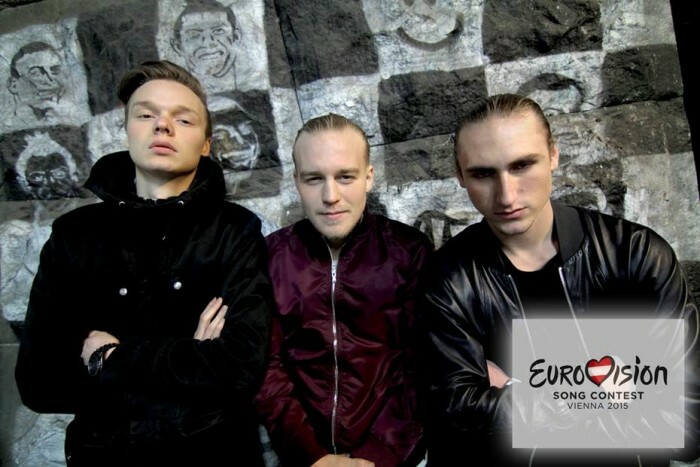 "It would be unfair to say no to them, so I wrote the song in few hours, especially for Eurovision. Writing "Warrior" was kind of hard for me because I didn't have time to do my best in song's range also I don't work in pop music anymore so I had to think a lot. I concentrated all my energy and created some story about Georgian woman, about their lives, about what it takes to be woman in Georgia and so here is "Warrior". I sent it to nation selection jury and then that happened". Singer explains further that usually she writes ambient music which definitely doesn't match Eurovision style. "When I decided to write song for Eurovision I had just 5 hours to do that because of national selections dates. So when I performed it was just demo version. After winning I changed a lot in range and then decided to contact Thomas G:son, because I think he does Eurovision style music best. Me and Thomas were contacting each other by email, I explained what exactly I wanted from this song, he shared his ideas and I think "Warrior" is more kind of Eurovision song than it was before. I'm happy that we worked together and reached best results". In one of the earlier shows, Nina has performed acoustic version of her entry that featured Zviad Mgebrishvili on guitar. She says, that it will be recorded and released as official acoustic version. "My aim is to present myself as a feminist independent artist who works hard, doesn't afraid to do everything herself. Also to be honest on stage is very important thing for me. I don't like when girls look like plastic dolls on stage, move like plastic dolls with no emotions. I'm going to express myself with my performance, my music, everything that will happen on stage is very organic for me"
Speaking about stage presentation, Nina says "When I'm in song writing process, I already think about the performance too. Before I met Sacha Jean Baptiste we were contacting each other by e-mail and sharing our ideas. I'm really happy that our visions and thoughts were similar". Nina says that for sure there will be some backing vocalists, but she can not name them yet, and says that presentation of the song in the music video should not be considered as hint of the upcoming stage presentation. Georgian entrant plans on attending preview parties in Riga and Amsterdam and possibly to visit some other countries as well. "Every PR is good for any kind of work. Touring around and making concerts is a part of success but biggest success depends on contest itself". Nina says that she has listened to all other entries, but would prefer not to name her favourites, just wishing luck to every contestant. Besides Song Contest preparation, she is also right now working hard on her second album. "I'm writing songs, making ranges, recording everything, thinking about concept, getting ready for tour in summer etc. This is what I do now, this is what I'll do in May". "I would like to say thank you for positive messages and reviews about my song and video. It's very important for every artist"
You can read full text of the interview at OGAE Rest of the World Facebook page. "oximation - (in organic chemistry) reaction with, or conversion into an oxime. An oxime is a chemical compound belonging to the imines, with the general formula R1R2C=N O H, where R1 is an organic side-chain and R2 may be hydrogen, forming an aldoxime, or another organic group, forming a ketoxime. O-substituted oximes form a closely related family of compounds. Amidoximes are oximes of amides with general structure RC(=NOH)(NRR'). Oximes are usually generated by the reaction of hydroxylamine and aldehydes or ketones. The term oxime dates back to the 19th century, a portmanteau of the words oxygen and imine. Oximes exist as two geometric stereoisomers: a syn isomer and an anti isomer. Aldoximes, except for aromatic aldoximes, which exist only as anti isomers, and ketoximes can be separated almost completely and obtained as a syn isomer and an anti isomer. Oximes have three characteristic bands in the infrared spectrum, at wavenumbers 3600 (O-H), 1665 (C=N) and 945 (N-O). [In aqueous solution, aliphatic oximes are 102- to 103-fold more resistant to hydrolysis than analogous hydrazones. Oximes can be synthesized by condensation of an aldehyde or a ketone with hydroxylamine. The condensation of aldehydes with hydroxylamine gives aldoxime, and ketoxime is produced from ketones and hydroxylamine. In general, oximes exist as colorless crystals and are poorly soluble in water. Therefore, oximes can be used for the identification of ketone or aldehyde. Oximes can also be obtained from reaction of nitrites such as isoamyl nitrite with compounds containing an acidic hydrogen atom. Examples are the reaction of ethyl acetoacetate and sodium nitrite in acetic acid, the reaction of methyl ethyl ketone with ethyl nitrite in hydrochloric acid, and a similar reaction with propiophenone, the reaction of phenacyl chloride, the reaction of malononitrile with sodium nitrite in acetic acid"
Reading chemistry without studying it throughout, didn't help a lot, did it? So we went to investigate it further, and have discovered that Nina probably means in her song a specific sort of oxime, and her "Warrior" is a first ever recognized victim of it. We can not say it is so for sure, but at least this gives some explanation to the possible meaning of "oximated".
" 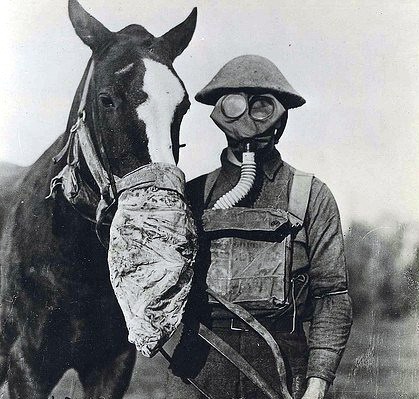 Phosgene oxime (an organic compound with the formula Cl2CNOH) is a chemical warfare agent that was designed in 1929 specifically as a chemical warfare agent/nerve gas and therefore. It is one of the least studied chemical warfare agents, so specific information is limited. Phosgene oxime is also known by its military designation, "CX". Phosgene oxime is a skin necrotizer or skin vesicant and causes extreme pain to the body. It has no known practical use, and Phosgene oxime can not be used for anything except to be used purely as a weapon of destruction and pain. Even though it has been created as a weapon to harm, it has never been used in any combat in history (as far as is known). Because Phosgene Oxime is a skin necromancer, almost-immediate pain ensues when contact is made with the chemical warfare agent. This pain is very extreme and has very strong physical effects on the skin of the human body. After contact is made, multiple stages of irritation can be noticed. After the first thirty seconds, the contacted area will turn white and red rings will surround the infected area. Thirty minutes later, the area will cultivate into a rash. After a 24 hour day has passed, the skin will die where it was previously white. After this, scabs are formed where the dead skin is. Because of phosgene's speed, there isn't an antidote yet"
The official logo for the Georgian entry "Warrior" of Nina Sublati was selected. It was created by Ana Asatiani. The winner will receive a special gift package. 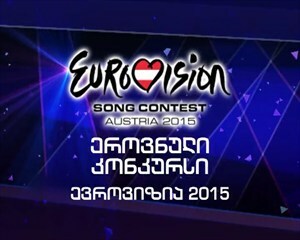 The winning logo will cover the CD of Georgian entry song. The contest to select the logo for Georgian entry song was announced on March 17. Interested candidates were asked to present the original Logo. 52 candidates sent their artworks for the competition. As she promised ESCKAZ in her interview, Nina Sublatti has recorded official acoustic version of her song "Warrior". Recording took place in "Bravo Records" studio and the song will be presented tomorrow. This weekend Nina Sublatti will perform at Eurovision In Concert event in Amsterdam. Listen to the song here and watch GPB report here. 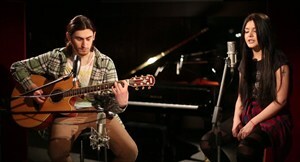 The acoustic music video was shot by Kakha Bukhrashvili, director of First Channel, cameraman - Davit Sepiashvili. Yesterday Swedish group Mange Makers have presented their new video that after only half of a day online has got over 20,000 views on Youtube. Today they released the single "Mange Kommer Hem Till Dig" on Spotify and iTunes.. The group has in recent years have lined up hits like "Fest Hos Mange", "Mange Bjuder" and "Drick Den" and is now making its big comeback. The song was written by Basshunter and hit-maker Wrethov. Today group members have also revealed they will be taking part in this year's Eurovision Song Contest in May in Vienna. The group will sing and dance behind the artist Nina Sublatti who represents Georgia and competes with the song "Warrior" in the first semifinal on May 19. "We recorded our new single in the same studio where was also working Thomas G:son who has arranged Georgian entry. Between the recordings we hung out a lot in the break room and played the Playstation together and on the last day G:son has asked if we want to participate on stage in Nina's number. Obviously, we want to help her to get some Swedish voices", says Max Christiensson from the Mange Makers. Before the Eurovision group has a full schedule in conjunction with the release of new single with gigs and a tour. Georgian delegation representative Natia Uznadze has laughed on hearing the information, saying that she sees this band for the first time and it certainly is April Fools' joke. At the present time Georgian delegation though chose not to reveal any information about the backing vocalists for Georgian entry. Speaking to ESCKAZ during Melodifestivalen final, Thomas G:son mentioned that there are no plans to involve Swedish backing singers in Georgian act. Natia Bunturi will announce the results of Georgian voting of 2015 Eurovision Song Contest (ESC). Natia is a host of "Our Morning", program of First Channel of Georgian Public Broadcaster (GPB). Designer Keti Chkhikvadze will care for the outfit of Georgian contender of 2015 Eurovision Song Contest (ESC). She will create stage costume for Nina Sublatti. Keti will care for the outfit of Georgian contender for the Opening Party, too. Keti Chkhikvadze graduated from Tbilisi Arts Academy, Faculty of Apparel/Clothing Design. In 2003 opened her personal clothing brand in Kazakhstan. Presently runs own shop in Georgia, also operating in France, Saudi Arabia, Kazakhstan, Russia, Qatar and Kuwait. Nina Sublati - Georgian representative at 2015 Eurovision Song Contest, Natia Uznadze - Eurovision Producer of GPB and Sacha Jean Baptiste - Swedish choreographer and director were invited in "Apples of Paradise", the program of First Channel. Official video of Georgian "Warrior" will be released on 11th of March in Tbilisi. Cafe "Innovo" will host the presentation on Wednesday evening. Video of "Warrior" was filmed by studio “Big Cake”. Director of the video is David Gogokhia who is designer as well. Shooting of the video took place in GPB studios last week and casts the most famous Georgian models. At the presentation there will be all Eurovision associated people include artists who represented Georgia in the contest in the past. 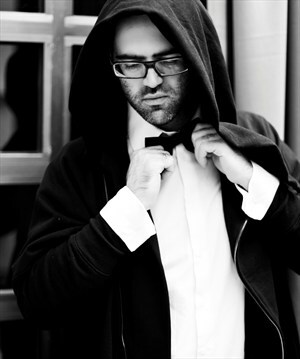 Sascha Jean Baptist who is stage director of this year's Eurovision entry will also attend the official presentation. Watch trailer here. Georgian Journal has released first images from the video shot for the "Warrior" of Nina Sublatti. The music video will premiere on Georgia's First Channel in March. Reports of Georgian TV on shootings can be seen here and here. Designer Lasha Jokhadze to care for the outfits in the music video of Nina Sublatti. As announced earlier, the shooting of a music video for the song "Warrior", of Nina Sublati, Georgian representative at 2015 ESC will take place on February 28 and March 1. Five females will appear in this video clip, alongside Nina Sublati herself. They are: Nina Potskhishvili (Model of Luxe Models), Mariam Sanogo (Model of Geomodels Agency), Keta Gavasheli, Lina Tsiklauri, Dea Aptsiauri. Designer Lasha Jokhadze will care for the outfits of the participants of the video. Lasha Jokhadze is a popular Georgian designer. He worked on many projects, including: "Dancing with the Stars", "Two stars" etc. Studio BigCAKE will shoot video clip for the song "Warrior". Studio BigCAKE was founded by David Gogokhia, Givi Magradze and George Mkheidze. They worked with famous Georgian singers, such as: Lasha Kicks & Nina Sublati, Band Eldrine, Mariam Chachkhiani, Anri Jokhadze etc. David Gogokhia will film the Georgian entry song for upcoming Eurovision Song Contest. He is highly experienced producer, director and web designer. The shooting of a video clip for the song "Warrior" will take place at first studio of Georgian Public Broadcaster (GPB) on February 28 and March 1. Premiere of the song will be held on First Channel of GPB. Post by გიორგი შიოლაშვილი • Giorgi Shiolashvili. 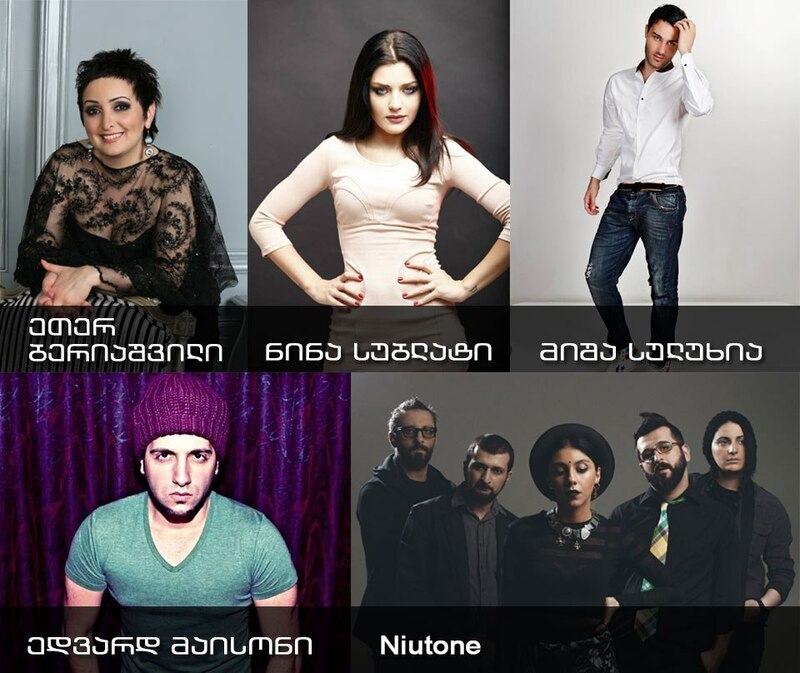 After 2 years of internal selections, GPB organized a national final "Erovnuli Shesarcevi konkursi 2015" in order to select the Georgian entry for the Eurovision Song Contest 2015. Submission period run from 3 December to 20 December 2014. International jury has selected five candidates from the received submissions to compete in the national final, their names were revealed on 23 December 2014. The entries were presented on 31 December 2014 during GPB's programme "Komunikatori". Read more about participants here (in English). Entry of Eteri Beriashvili already competed in Belarus national selection for ESC 2015, performed by Diana Gromova, but failed to qualify to the live shows. Edvard Meison (Tatiani) earlier took part in 2012 preselection final. The public got two weeks to cast their vote from 1 January 2015 until 14 January 2015. At the end of "Komunikatori" on January 14 extensive interview with Nina Sublatti and Eurovision project producer Natia Uznadze was aired. On January 15 Nina Sublatti along with Eurovision delegation members Natia Uznadze and Tiko Berdzenishvili have taken part in the show "Samotkhis vashlebi". Нина Сублатти (ნინა სუბლატი) (настоящее имя Нина Сулаберидзе) родилась в Москве, Россия, 31го января 1995 года. Вскоре после рождения Нины ее семья вернулась в Грузию. В 2005 году она закончила художественную школу, в которой занималась рисованием, графикой, скульптурой. За свои художественные работы Нина завоевала ряд премий международных конкурсов. В 2008 году она закончила музыкальную школу, отделение фортепиано. В 2009 году она получила приглашение от фотоагентства и работала в качестве модели со знаменитыми дизайнерами и фотографами. Сублатти любит татуировки, и на ее теле уже нанесено 8 татуировок. В 2010-2011 годах Нина сотрудничала с различными группами и давала концерты в различных регионах Грузии. В 2011 году она начала сотрудничать с Georgian Dream Studio; работала с рэппером Берой Иванишвили. Сублатти много занималась с педагогами по вокалу и хореографами, в частности специально приглашенными из Нью-Йорка, Лос-Анджелеса и Лондона, улучшая свои знания в истории и теории музыки, областях вокальной техники, хореографии, психологии и т.п. В 2013 году Нина принимает участие в проекте "Saqartvelos Varskvlavi" (Georgian Idol), сотрудничая в рамках проекта с "Bravo Band" и Грузинским Государственным Симфоническим Оркестром. Нина стала победительницей проекта и получила приглашение от Лондонского Института Музыки для того, чтобы продолжить занятия вокалом на самом высшем уровне. Ее выступления в рамках шоу вы можете увидеть здесь. В 2013 году Нина поступила в Академию Искусств им. Аполона Кутателадзе, отделение дизайна интерьера. В 2014 году принимает участие в грузинском мюзикле "Lurji prinveli" (Синяя птица) (режиссера Давита Доиджашвили). В 2014 году Нина работает с лейблом Bravo Records над записью дебютного альбома "Dare To Be Nina Sublatti", в которое вошли 5 оригинальных песен и 5 кавер-версий мировых хитов. Альбом занял высокое место в музыкальных чартах, став самым продаваемым альбомом в Грузии на тот момент. После его выхода Сублатти отправилась в турне по Грузии. С 2014 года Нина занимается в Тбилисской Государственной Консерватории им. Вано Сараджишвили, факультете музыкальной технологии, и работает в музыкальной школе "Teen Club", где преподает молодым исполнителям. В настоящее время она работает в собственной музыкальной студии над вторым альбомом, который запланирован к выходу в 2015 году. На конкурсе Евровидение 2015 Нина исполнит песню собственного сочинения "Warrior". "Моя песня посвящена всем женщинам Грузии. Женщины всегда были важными фигурами в истории нашей страны. Они всегда стремились быть хорошими женщинами, матерьми, учителями. Грузинской женщине приходилось подавить свой темперамент и растить своих детей, как воительнице. На грузинском языке я выбрала в качестве заголовка слово, означающее "Мать-мужчина", которое не существует на других языках, потому на английском она получила название "Warrior"
Шведский композитор Томас Г:сон будет работать над аранжировкой грузинской песни для международного финала. Г:сон уже является автором 9 песен Евровидения, включая песню Грузии 2013 года. В этом году он также является соавтором песни Испании. В числе других написанных им песен: Швеция 2001, 2006 и победитель 2012, Норвегия 2007, Дания 2010 и Испания 2007 и 2012. Г:сон входил в состав жюри, которое выбрало на конкурс "Warrior" Нины Сублатти. "Формат Евровидения сильно отличается от стилистики, в которой я обычно работаю - амбиента, психоделики и альтернативы, поэтому мне потребовалось определенное время, чтобы переаранжировать свою песню в стилистике поп-музыки", ранее признавалась Сублатти. Постановкой номера Грузии займется шведский хореограф Саша Жан-Баптист, которая ранее работала на Евровидении над номером Алексея Воробьева в 2011 году. "Я прекрасно себя чувствую! Я достигла немало в своей карьере, но выступление в Европе — самая важная вещь для меня. Я все еще ищу возможности давать лучшие концерты, лучшие туры, и мне кажется, что Евровидение — это прекрасная возможность для любого грузинского артиста"
Нина говорит, что участвовать в национальном отборе ее убедили поклонники. "Было бы нечестно сказать им "нет", поэтому я написала песню за несколько часов, специально для Евровидения. Написание "Warrior" было довольно трудным, потому что у меня не было времени сделать всё возможное, насколько это позволяет песня и так как я больше не работаю в поп-музыке, то мне пришлось достаточно много обдумать. Я собрала воедино всю свою энергию и создала историю о грузинской женщине, об ее жизни, о том, что значит быть женщиной в Грузии и таким образом получился "Warrior". Я отправила песню на национальный отбор и дальше случилось, то, что случилось". Певица поясняет, что она пишет музыку в стиле эмбиент, который совершенно не соответствует стилю Евровидения. "Когда я приняла решение написать песню для Евровидения у меня было всего 5 часов из-за крайней даты приема заявок на национальный отбор. На моем выступлении прозвучала демо-версия. После победы я достаточно много изменила в песне и мы решили обратиться к Томасу Г:Сону, потому что я считаю, что он делает музыку в стиле Евровидения лучше всех. Я с Томасом общалась по электронной почте, где объяснила, что хочу от песни, а он поделился своими идеями и я думаю, что "Warrior" стала более подходящей для Евровидения, чем была до этого. Я счастлива, что мы работали вместе и достигли лучшего результата". В одном из недавних шоу, Нина исполнила акустическую версию своей песни с гитаристом Звиадом Мгебришвили. Она говорит, что эта версия будет записана и выпущена как официальная акустическая версия. "Моя цель заключается в представлении себя как феминистской независимой артистки, которая много работает и не боится делать все сама. Быть честной на сцене, также очень важно для меня. Я не люблю, когда девушки выглядят на сцене, как пластиковые куклы, двигаются как пластиковые куклы, безо всяких эмоций. Я собираюсь выразить себя своим номером, своей музыкой. Все, что будет происходить на сцене очень естественно для меня"
Говоря о том, что будет на сцене, Нина рассуждает: "Когда я пишу песню, я также думаю и о выступлении. До того как встретиться лично с Сашой Жаном Баптист, мы контактировали через электронную почту и делились своими идеями. Я счастлива, что наши видения и мысли были похожи.". Нина говорит, что разумеется у нее будут бэк-вокалисты, но она пока еще не может назвать их. Также артистка сказала, что клип не стоит рассматривать как намек на то, каким будет ее сценическое выступление. Грузинская участница планирует принять участие в вечеринках Евровидения в Риге и Амстердаме и по возможности посетить еще несколько стран. "Каждый PR хорош для любой работы. Туры и концерты является частью успеха, но самый большой успех зависит от самого выступления на конкурсе". Нина говорит, что она прослушала другие выступления, но предпочитает не называть имен своих фаворитов. Она хочет пожелать удачи каждому участнику. Кроме подготовки к конкурсу, прямо сейчас певица работает над своим вторым альбомом "Я пишу песни, записываюсь, думаю о концепции, готовлюсь к летнему туру и т.д. Это то, что я делаю сейчас, это то, чем я буду заниматься в мае после Евровидения". "Я хотела бы сказать "спасибо" всем за позитивные сообщения и отзывы о моей песне и клипе. Это очень важно для каждого артиста"
С полным текстом интервью на английском языке вы можете познакомиться на странице ОГАЕ Остальной мир в Facebook.
" Оксимы (или изонитрозосоединения) — органические соединения, включающие в себя одну или несколько изонитрозогрупп RR1C=N-OH. Обычно рассматриваются как производные альдегидов (R1 = H) - альдоксимы и кетонов - кетоксимы. Для альдоксимов и оксимов несимметричных кетонов характерна цис — транс изомерия по связи C=N. Оксимы обычно легкоплавкие твердые вещества, в чистом виде - белого цвета. Плохо растворяются в воде, хорошо в органических растворителях. Цис- и транс- изомеры различаются по физическим свойствам (температура плавления, спектры), взаимное превращение стереоизомеров происходит при действии кислот или облучении светом. В ИК-области в спектрах оксимов наблюдаются слабые полосы валентных колебаний связей O–H при 3650-3500 см−1 и C=N при 1690-1650 см−1; валентные колебания N-O обуславливают сильную полосу поглощения при 960-930 см−1"
Не похоже, что просто чтение химии, без ее детального изучения, нам во многом помогло. Потому, мы копнули немного глубже, и пришли к выводу, что, возможно, Нина имеет в виду в своей песне совершенно особый вид оксимов, а ее "воительница" - первая жертва от этого вида малоизвестного химического оружия. Мы не можем сказать, так ли это на самом деле, но, по крайней мере, это немного проливает свет на суть слова "oximated" в песне. "Фосген оксим (органическое соединение с формулой Cl2CNOH) - это химический агент, который был разработан в 1929 году специально как боевое отравляющее вещество / нервно-паралитический газ. Это - одно из наименее изученных боевых отравляющих веществ, поэтому конкретная информация о нем достаточно ограничена. Фосген оксим также известен своей военной маркировкой "CX". Фосген оксим - убивает кожу и вызывает сильнейшую боль в теле. У него нет какого-либо практического применения, и фосген оксим не может быть использован ни для чего иного, кроме как в качестве оружия уничтожения, и причинения боли. Несмотря на то, что он был создана в качестве оружия для нанесения вреда и перед войной даже стоял на вооружении армий Германии и Советского Союза, насколько это известно, он никогд не был использован на практике. Поскольку фосген оксим убивает кожу, почти немедленная боль наступает при первом же контакте с агентом химического оружия. Эта боль является экстремальный и имеет очень сильные физические воздействия на кожу тела человека. После контакта можно отметить несколько стадий отмирания кожи. Уже через тридцать секунд, область поражения станет белой, и красные кольца будут окружать зараженную зону. Тридцать минут спустя, площадь заражения покроется сыпью. Через сутки, на месте побеления кожа отомрет и на ее месте образуются струпья. Из-за скорости действия фосген оксима, против него не существует противоядия"
Выбран официальный логотип для песни Грузии "Warrior", которую на Евровидении 2015 исполнит Ана Асатиани. Победитель получит специальный подарочный набор. Официальный логотип украсит промо-продукцию, включая промо-диск с песней Грузии. Конкурс на выбор логотипа для "Warrior" был объявлен 17го марта. Заинтересованные лица могли предложить свои оригинальные логотипы. Всего было получено 52 заявки. Представительница Грузии Нина Сублатти, как и обещала в интервью ESCKAZ, записала на студии "Bravo Records" официальную акустическую версию своей песни. Премьера ее пройдет завтра, а в выходные представительница Грузии выступит на концерте Eurovision In Concert в Амстердаме. Услышать песню можно здесь и увидеть репортаж GPB здесь. Режиссером клипа на акустическую версию является Каха Бухрашвили, режиссер Первого канала Грузинского ТВ, оператор - Давит Сепиашвили. Вчера шведская группа Mange Makers представила свой новый видеоклип, который всего за полдня собрал свыше 20 тысяч просмотров на Youtube. Сегодня на Spotify и iTunes вышел сингл на песню "Mange Kommer Hem Till Dig". За последние годы группа была исполнителями таких хитов как "Fest Hos Mange", "Mange Bjuder" и "Drick Den" и теперь возвращается с новым релизом. Песня была написана в сотрудничестве между Basshunter и хит-мейкером Wrethov. Сегодня участники группы также объявили о том, что они выступят на Евровидении 2015 в мае в Вене. Группа будет выступать на бэк-вокале и подтанцовке с представительницей Грузии Ниной Сублатти, которая исполнит песню "Warrior" в первом полуфинале конкурса 19 мая. "Мы записывали свой новый сингл в той же студии, где работает Томас Г:сон, который был аранжировщиком песни Грузии. Между записями, мы много развлекались в комнате для отдыха, играли вместе в Playstation, и в последний день Г:сон спросил нас, не хотим ли мы выступить на Евровидении в номере Нины. Конечно же, мы бы хотели помочь ей получить голоса из Швеции", говорит участник Mange Makers Макс Кристиенссон. Перед Евровидением у группы предстоит тур из нескольких концертов в рамках раскрутки своего нового сингла. Представитель делегации Грузии Натия Узнадзе рассмеялась узнав данную информацию, отметив, что впервые слышит о данной шведской команде, и что это определенно первоапрельская шутка. В данный момент делегация Грузии пока не объявляет о том, кто же все-таки примет участие в номере Нины Сублатти. Отвечая на вопрос ESCKAZ во время финала шведского национального отбор Мелодифестивален, Томас Г:сон заявил о том, что планов об участии в номере Грузии шведских бэк-вокалистов - нет. Натия Бунтури объявит результаты голосования Грузии на Евровидении 2015. Натия является ведущей программы "Наше утро", выходящей на Первом канале Грузинского Общественного телевидения. Костюм Нины Сублатти для выступления на Евровидении подготовит известный дизайнер Кети Чхиквадзе. Также она подготовит костюм Нины для Официальной вечеринки открытия конкурса. Кети Чхиквадзе закончила Академию Искусств Тбилиси, факультет дизайна одежды. В 2003 году открыла свой собственный бренд одежды в Казахстане. В настоящее время руководит собственным магазином в Грузии, работая также во Франции, Саудовской Аравии, Казахстане, России, Катаре и Кувейте. Представительница Грузии Нина Сублатти, Натия Узнадзе - продюсер проекта Евровидения на Грузинском Общественном ТВ, и Саша Жан-Баптист, шведский хореограф и режиссер-постановщик номера были приглашены в программу "Apples of Paradise" на Первом канале грузинского телевидения. Официальный видеоклип песни Грузии "Warrior" будет представлен 11го марта в Тбилиси. Презентация пройдет в среду вечером в помещении кафе "Innovo". Видеоклип был снят студией "Big Cake", режиссером и дизайнером видео является Давид Гогохия. Съемки его прошли в студии GPB на прошлой неделе, и помимо Нины в нем снялись известные грузинские фотомодели. На презентации будут присутствовать различные люди, связанные с Евровидением, включая артистов, представлявших Грузию на конкурсе в прошлые годы. Постановщик номера Саша Жан Баптист (Швеция) также посетит официальную презентацию песни. Трейлер клипа можно увидеть здесь. Georgian Journal опубликовал кадры со съемок видеоклипа на песню "Warrior" Нины Сублатти. Премьера клипа пройдет на Первом канале грузинского телевидения в марте. Репортажи грузинского телевидения со съемок можно увидеть здесь и здесь. Дизайнер Лаша Джохадзе позаботится о костюмах участников видеоклипа Нины Сублатти. Как мы уже сообщали ранее, съемки клипа на песню "Warrior" Нины Сублатти пройдут 28 февраля и 1го марта. В клипе, помимо собственно Нины, примут участие еще пять девушек: Нина Поцхишвили (модель Luxe Models), Мариам Саного (модель Geomodels Agency), Кета Гавашели, Лина Циклаури, Деа Апциаури. Над их костюмами будет работать известный дизайнер Лаша Джохадзе. На его счету работа с такими крупными проектами, как "Танцы со звездами", "Две звезды" и др. Студия BigCAKE будет заниматся съемкой видеоклипа на песню "Warrior". Ее основатели: Давид Гогохия, Гиви Маградзе и Георги Мкхеидзе. Они имеют большой опыт работы с известными грузинскими исполнителями, такими как: Lasha Kicks & Нина Сублатти, группой Eldrine, Мариам Чачхиани, Анри Джохадзе и др. Непосредственным режиссером грузинского клипа станет Давид Гогохия - опытнейший продюсер, режиссер и веб-дизайнер. Съемки клипа пройдут в первой студии Грузинского Общественного Телевидения 28 февраля и 1 марта. Премьера клипа пройдет на Первом канале GPB. После двух лет внутренних отборов, GPB организовал финал национального отбора "Erovnuli Shesarcevi konkursi 2015" для того, чтобы выбрать песню, которая представит Грузию на конкурсе Евровидение 2015. Период приема заявок продолжался с 3 по 20 декабря 2014 года. Сначал международное жюри определило из числа поданных заявок пять кандидатов для участия в финале национального отбора, их имена были названы 23го декабря 2014 года. Участвующие песни были презентованы 31го декабря 2014го года в программе телеканала GPB "Komunikatori". Подробнее о финалистах отбора вы можете прочитать здесь (на английском языке). Песня Етери Бериашвили ранее принимала участие в белорусском национальном отборе на Евровидение 2015, где была исполнена Дианой Громовой, но не смогла выйти в финальную стадию конкурса. Эдвард Мейсон (Татиани) ранее принимал участие в национальном отборе 2012 года. Публика могла проголосовать за песни финалистов с 1го по 14 января 2015 года. Ральф Рейник (Нидерланды), журналист сайта Songfestivalweblog.nl, член команды "Eurovision In Concert"
В конце программы "Komunikatori" 14 января было показано интервью с Ниной Сублатти и продюсером проекта Евровидение на GPB Натией Узнадзе. 15го января Сублатти вместе с членами делегации Грузии на Евровидении Натией Узнадзе и Тико Бердзенишвили приняли участие в программе "Samotkhis vashlebi".